Just a little bit about me . . I got into the world of real estate through a side door. After graduating from Moorestown High School in 1989, I went right into competitive ballroom and latin dancing, accumulating a number of national titles along the way. I loved dancing, even teaching it, and might have made it my lifelong career had life not stepped in and set my foot on another path. As often happens with athletes, I sustained injuries while competing and began to have thoughts of finding another profession. One of the things that made it easy to get into real estate, other than the fact that I began as an investor, was that I realized one of the things I loved the most about teaching dancing was relating to people and their needs on an emotional level. I still do this today as we go through the emotional experience of clients buying or selling their home. I like to be there for them, and allow them to make decisions in their time frame, not mine. I´m reachable during the process and let them know they can discuss their concerns with me whenever they need to. I´ll do the same for you, just give me a call, or send me an email when you´re ready to make a move. If you have some time take a look at my client testimonials so you can see what some of my clients had to say about their experiences with me as their agent. Having been involved with life in South Jersey for the last 35 years and have a keen awareness of all it has to offer. I've developed this web site to assist everyone to get to learn more about the area and provide a user friendly experience while searching for your new home. I hope you will consider it as your online source for local real estate information, and return often for the latest property listing updates, market condition reports, and for everything you need to know about buying or selling a home in South Jersey. "Working with Roxanne was such a great pleasure. She understood my situation in the needs of a house. She was easy communicate with and always contacted us with an immediate response. She knew her job very well and was able to give us great advice in choosing a home. Roxanne, even after our closing contacted me to be sure the move went smoothly. 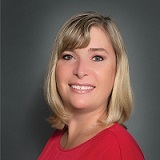 You are very lucky if you have Roxanne as your realtor in purchasing property." -The Cardo Family "Roxanne provides an exceptional home buying journey. I am a single mother of two, that stumbled into Roxanne's website on accident. What a blessing!!! She found is the perfect home for our family in the perfect neighborhood. My children and I are so grateful to Roxanne for her dedication to finding is the perfect home. I highly recommend her to anyone that wants an honest person who cares about her clients. Thank you Roxanne!!!!!" - Sharon P. "Roxanne was instrumental in the success we had in selling two properties and we plan to work with her in the future. Roxanne was wonderful to work with. She did everything she could to help after my fathers passing. Have no fear when working with Roxanne. Her suggestions were always helpful and spot-on. She has a vast framework of real estate knowledge and the few times she was unsure she would seek out the correct answer, never guessing. She has a large database of vendors to help with associated projects involved with real estate." - Bob S.